Western powers, which provide arms and intelligence to the coalition, may now have greater leverage to demand action on Yemen after outrage over the murder of Saudi journalist Jamal Khashoggi in Riyadh's consulate in Istanbul led to increased scrutiny of the kingdom's activities in the region. 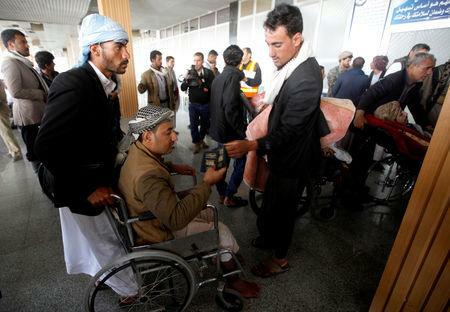 A post on the U.N. envoy's Twitter account thanked all parties for facilitating the evacuation of the 50 wounded fighters on Monday to Oman for treatment. British foreign minister Jeremy Hunt tweeted that the evacuation as a "positive 1st step" ahead of the talks. "Neither side wishes to be blamed for the dire consequences of the looming famine, which is starting to become a reality," said Elisabeth Kendall, a senior research fellow in Arabic and Islamic Studies at Oxford University. "But it remains to be seen whether the political will is really there to make the necessary concessions for peace." 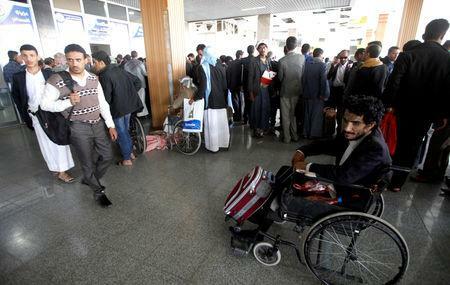 Some 8.4 million Yemenis are facing starvation, although the United Nations has warned that will probably rise to 14 million. 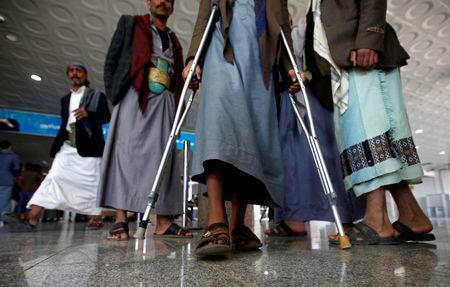 Three-quarters of impoverished Yemen's population, or 22 million people, require aid.